One of the most stressful things for me about wedding planning besides finding the perfect venue was finding that perfect dress. There are so many designs to shop for that the process can be very frustrating and overwhelming if you don’t do your much needed research and don’t have some sort of vision in mind. I recently said “yes” to a dress after searching for a couple of months. I can’t reveal too much of the details of my dress except that it’s strapless and has feathers on it. I purchased my dress when I recently attended the Opportunity Bridal sale, a sale I first discovered on Facebook. Opportunity Bridal is a travelling bridal boutique offering a one-day sale per city at massive discounts compared to the manufacturer’s suggested retail price, sometimes up to 90% off. They travel throughout cities in Ontario and Quebec offering a large selection of wedding dresses that range from sizes 2 – 28. Each size is colour coded so aspiring brides can easily find their size and all their dresses are priced from $199 – $799 with a select few dresses at $899. 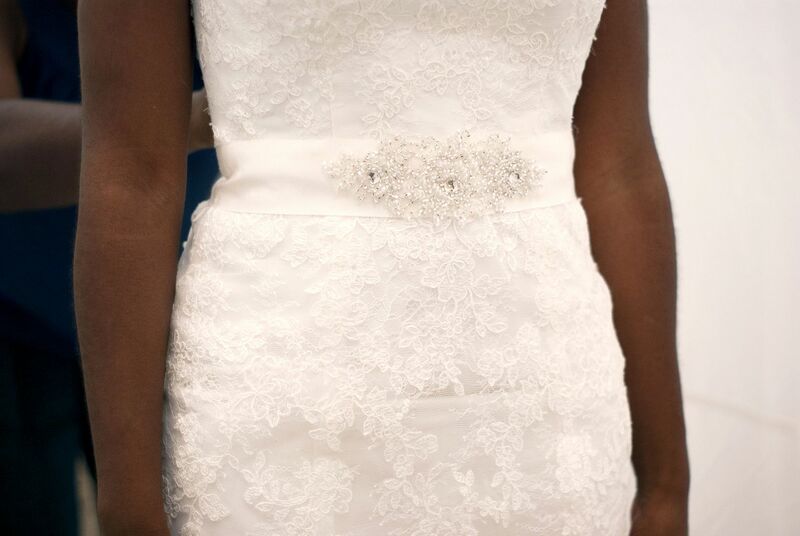 They also carry bridal accessories such as belts, veils, tiaras and other accessories at low prices. Change rooms are also available and a bride can take home their dress the same day. Thankfully for me, Shubila (a collaborator on the blog) happens to be an experienced bridal consultant and these are the tips that she provided to me when I first got engaged. I found them insightful and I hope these tips can help you gain some more insight into the world of brides and help guide you along in your search for your dress as they did for me. Spend some time before your appointment or dress shopping trip to learn about the various styles, shapes and silhouettes that are available in wedding dresses. Do not be shy to bring in a few pictures of dresses you love to inspire yourself while you browse. 2. SET & DISCLOSE YOUR BUDGET. Set a realistic budget and be willing to disclose that to your consultant. If you know you cannot afford a $3000 dress don’t spend time trying on gowns that are out of your price range. Consultants can pull out a number of gowns that are a similar style but within your price point. Also keep in mind additional alteration fees when coming up with a budget. 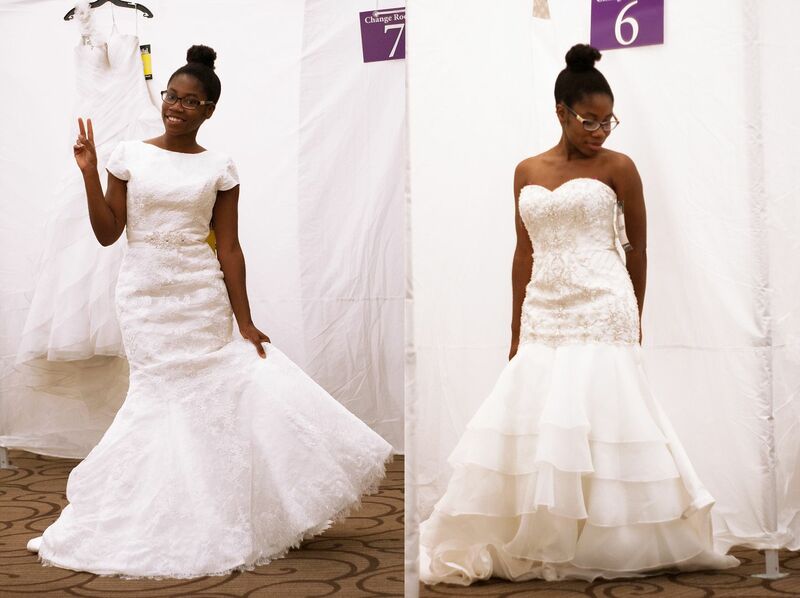 Lastly if you are looking to save money, consider buying a sample gown that is on display at the store or attend bridal sales. 3. DON’T SHOP TILL YOU ARE READY TO BUY. Take some time to learn about the various designers and collections that are out there. You can also seek out a consultant but be mindful of the time restrictions that a consultant may have as they’re generally seeing many potential brides. 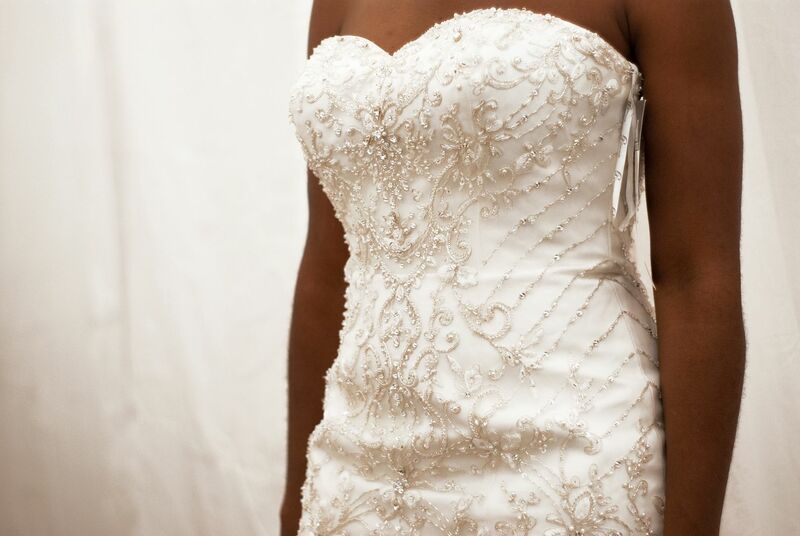 Start looking when you are ready to purchase and keep in mind that it may take up to 6-9 months to have your dress customized and delivered depending on the designer and alteration time. 4. AVOID TRYING ON TOO MANY DRESSES. Some brides are plagued by the thought of “what if there is something better” and let me be honest; there will always be something better, more sparkly and more extravagant. You simply have to come as close to perfect for you as possible. It can get overwhelming and one can easily lose sight of their goal during this experience. This simply refers to your entourage. I know it is a special time and you would love to get your bridal party, mother and mother in law involved in the process but that can add stress and confusion when you have various conflicting opinions being thrown your way. Too many people and opinions can easily complicate the search and frustrate you during your search. 6. BE CREATIVE IN FINDING YOUR DRESS. 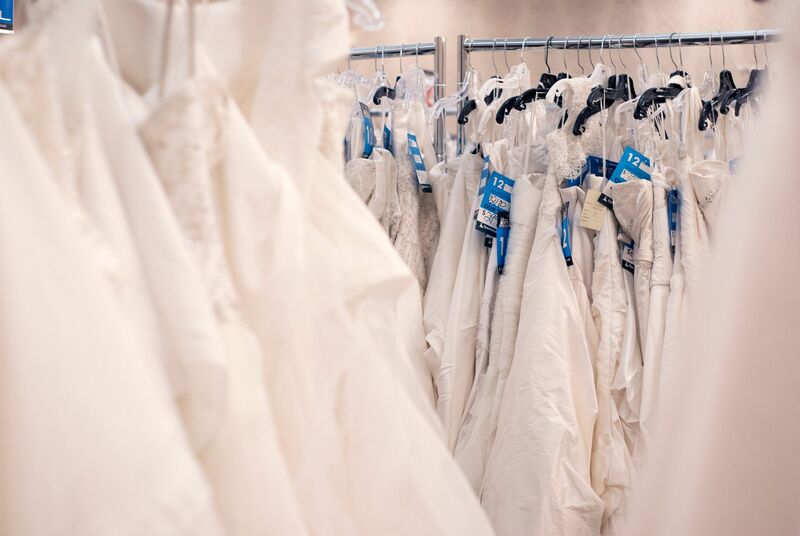 Shopping at a bridal sale may be better for your needs and your budget. It could pay off to consider other places besides the usual bridal boutiques. Also, try warehouse sales, resale dresses, sample sales, reused dresses, online vendors and outlet malls. Exploring all of these options can save you money and provide you with a unique dress that others won’t find at the bridal boutiques. 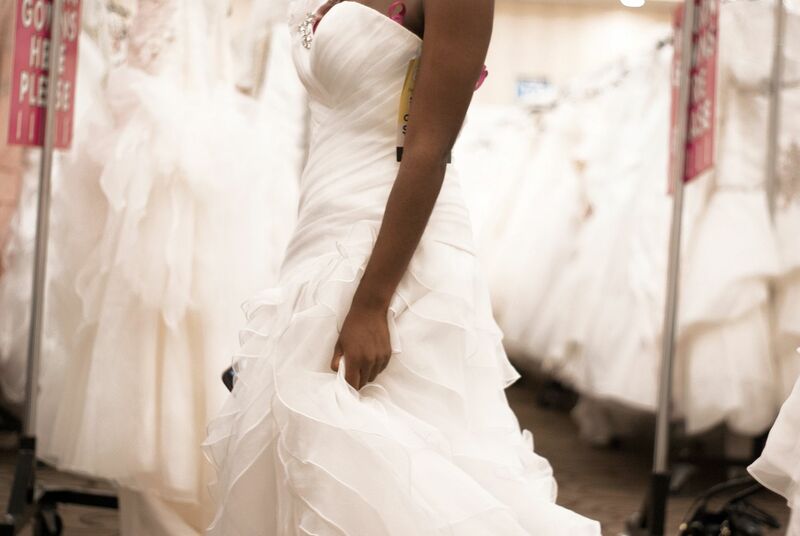 What are some tips you would give an aspiring bride to help reduce the stress while dress shopping? Great tips and Congrats on your upcoming nuptials. 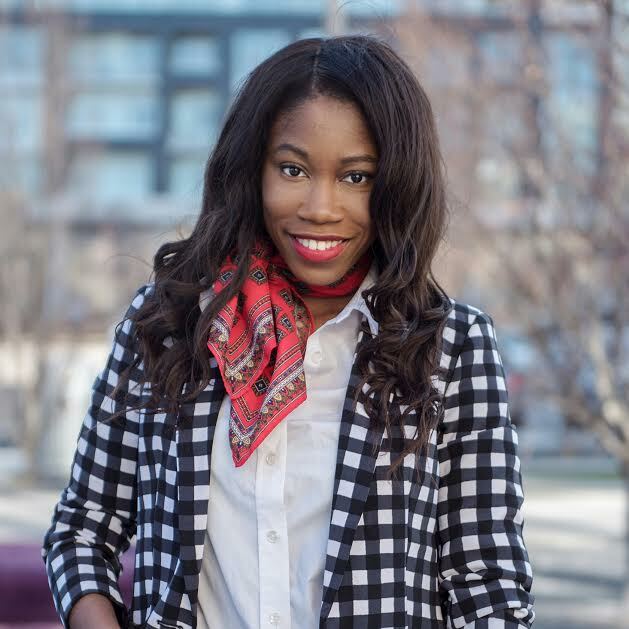 . . My tips: Stick to your budget! You must have that bridal moment when you try on the dress. Do not let your consultant or entourage talk you into a dress that you do not LOVE.